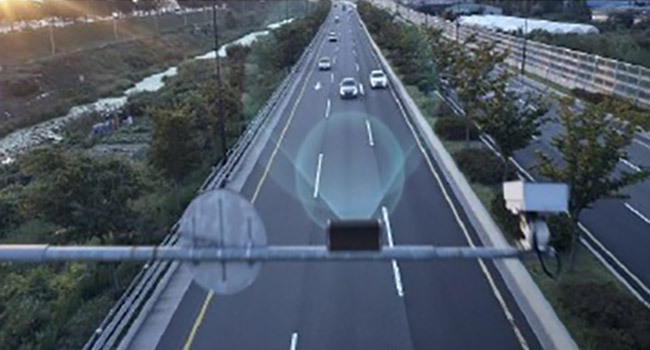 Speed ​​detection system automatically detects vehicles that exceed the legal speed. Due to driving vehicles at high speeds, over the speed limit by law, is an important cause of accident with the impact of the loss after the accident. The loss from an accident indicates that the speed of the car involved in the accident usually relates to the size of the vehicle as well. 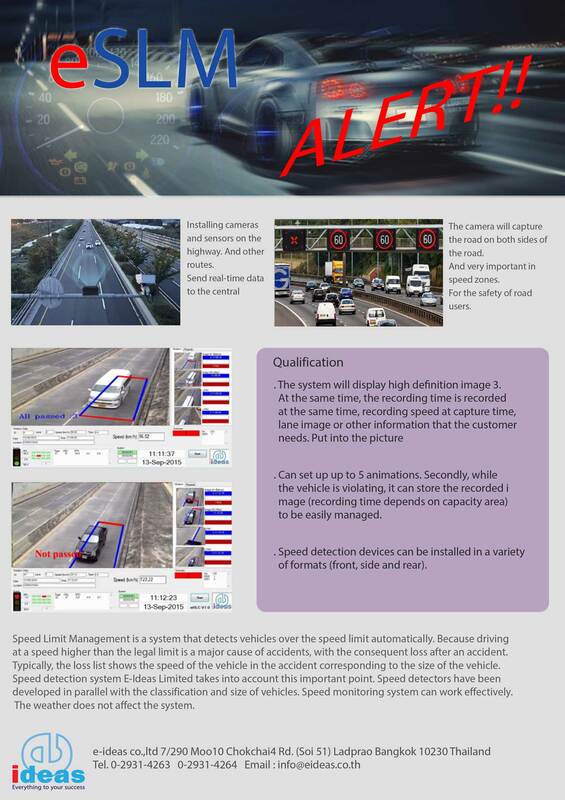 Speed ​​detection system developed by E-deas recognizes the importance of this point and has been developed, in parallel to speed detection, the classification, form and size of the vehicles. In addition the speed ​​detection system works effectively and the weather does not affect the system. The system can display three high definition images showing the characteristics of the vehicle clearly and meanwhile the information such as speed at the time of capture, lane images or other information needed were recorded into the picture. The system can set up the time for recording during vehicle violations up to five seconds as motion pictures (recording time depends on the capacity of the storage) for easier management. Speed detection devices can be installed in a variety of formats (front, side and rear).